Enjoy low maintenance condo life while living less than 4 miles from the beach! RARE 3 bedroom unit offering over 1, 200sf of under air living space in a great-room design and features an open concept kitchen with breakfast bar, a spacious laundry room with storage, split bedroom floor plan, sliders to the screened lanai, large tile flooring in main living areas, and crown molding. Two parking spaces are assigned to this unit, plus there is plenty of guest parking to the side of the building. New A/C unit installed just two years ago. This second-floor condo is located a small gated community that offers a lakefront setting, on-site management, and a community center w/ fitness room, pool, spa, BBQ area, park, tennis courts, billiard room, & racquetball court. 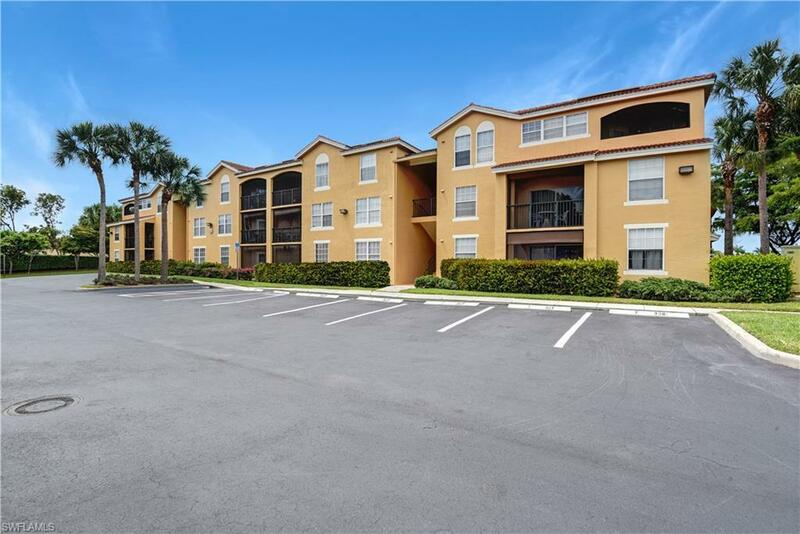 Fantastic location- set back from US41/Tamiami Trail and right around the corner from lots of shopping & dining including Starbucks & Fresh Market, plus a short drive to I-75, Coconut Point, Gulf Coast Town Center, and FGCU.